Even if the sales figures do not yet prove it - cars with alternative drives are the future and Müller Plastik wants to help shape the future. Based on our over 30-years of experience in the production of power cords, we set ourselvs the task to find suitable products for the megatrend electromobility. In close co-operation with partners and customers we have developed fitting solutions for the "home-charging". Our smart plugs with installed temperature sensors have the special ability to communcate with a connected ICCB (In-Cable-Control-Box). This makes it possible to identify temperature variations on the connector. This safety feature allows a reliable charging process in combination with a domestic socket, independently of a charging station. 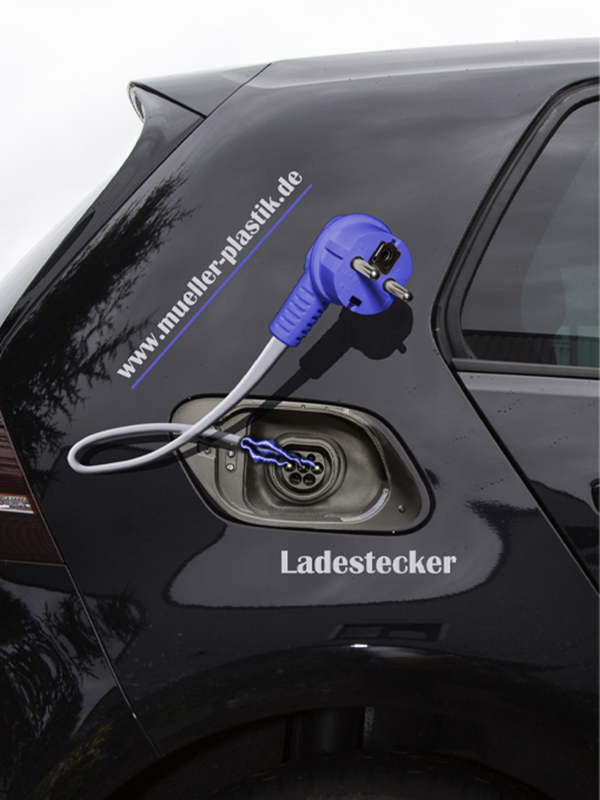 Müller Plastik E-Mobility products are characterized by their high quality standard. In-process inspections, such as crimp height measurements, ensure the high quality standard. Upon request we can provide the IMDS and PPAP documentation to all of our pigtails. Already today many well-known automobile manufactures use our worldwide released and certified power cords with temperature control in their Mode 2 charging cables. Are you a supplier to the automotive industry and need a special solution for your customer? For example a moulded grommet or the right seal for your ICCB? Talk to our competent staff and let us advise you.